About Modern Metal Finishing, Inc.
Quality, integrity, and service are terms commonly used in our industry, but at Modern Metal Finishing, Inc., these words are the definition of our business philosophy. Since our incorporation, over twenty-five years ago, we have continually grown. This growth has occurred because of our commitment to meet customers' constantly changing requirements. As a "job shop" we recognize the need to be creative and to comply with the changing work environment while maintaining the highest standards for quality and service. Our flexibility and willingness to assist customers has helped us maintain long term business "partners" and develop new business relationships. As a metal finisher, we understand the need and commitment to protect the environment. We constructed a new facility housing a state-of-the-art waste treatment system. 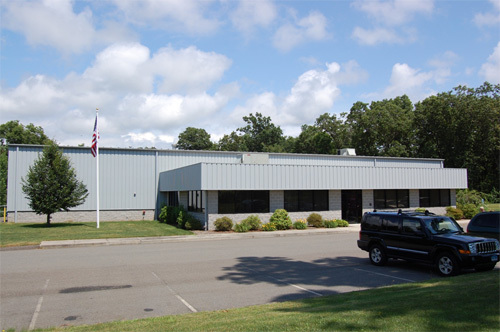 Our facility also houses a complete laboratory with the equipment to provide physical testing of finished products, documentation, and traceability that are necessary to comply with ISO 9001:2008 standards and Nadcap AC7108 and AC7004. Our technical staff can comply with your testing requirements or can assist you with the development of testing procedures. The quality of our finished product is only one aspect of our quality system. Meeting your requirements is part of the service we offer. Together, they offer the integrity that Modern Metal Finishing is committed to. As of 2011, Modern Metal Finishing became NADCAP Accredited for Hardcoat Anodizing, Anodizing, Passivation, and Chromate Conversion coatings. As well, we are ITAR registered, we have our Federal Firearms License (FFL), and our DoD JCP Certificate for Joint Countries Programs transactions.